Upon scanning the existing literature on celebrity endorsement, it is observed that present studies have explored the influence of select celebrity endorsement factors or consumer factors on shoppers’ purchase intention. However, these studies have not explored the cumulative effect of these antecedents on shoppers’ intention to buy. Thus, the present study examines the impact of two celebrity endorsement factors—celebrity–product congruence and celebrity attractiveness, and three consumer factors—attitude towards the brand, attitude towards advertisement and involvement, on purchase intention. 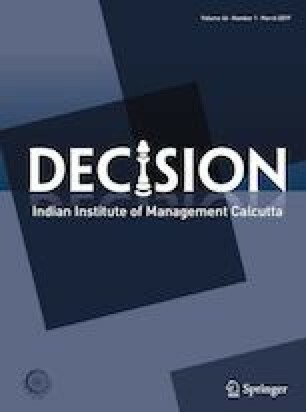 In due course, the research has also validated the measurement scales of the select constructs in Indian perspective. The paper has developed and tested the model for predicting shoppers’ purchase intention using hierarchal regression. The findings of the study indicate that celebrity attractiveness, consumers’ attitude towards advertisement and attitude towards brand have a significant positive influence on consumers’ purchase intention. Interestingly, the study contradicted some of the earlier papers and noted the insignificant impact of celebrity congruence and consumer involvement on purchase intention. The article closes with discussions and managerial implications.